Able to grow in standing water; will grow in rivers, swamps and wet woods. Southern portion of the Chesapeake Bay watershed, including parts of Delaware, Maryland and Virginia; specific locations include Maryland’s Battle Creek and Pocomoke River and Virginia’s Chickahominy River. The bald cypress is a tall deciduous tree with needle-like leaves and distinctive “knees” that rise up from the soil or water around it. It grows in swamps and forests in parts of Delaware, Maryland and Virginia. The bald cypress is cone- or pyramid-shaped; older trees may have a flattened top. 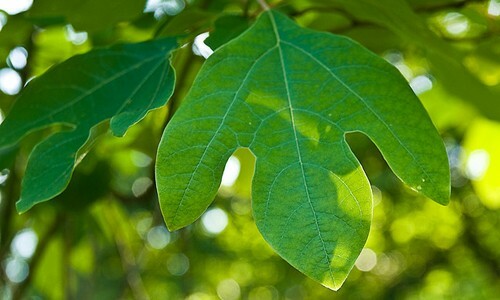 It can grow more than 100 feet tall with a trunk diameter of 3 to 6 feet. It has feathery, flattened, needle-like leaves and smooth, stringy, gray-ish brown bark. Young trees have pale green foliage that becomes darker green as they mature. In autumn, foliage turns golden brown before falling off. Small, round cones appear at the ends of its stems; new cones are green and turn brown as they mature. "Knees," part of the tree's root system, protrude from the water or soil around the tree. The trunk base is swollen when the tree grows in water. Cones mature in October, each containing about 16 winged seeds, which are spread by wind, water and animals. Trees produce seeds every year, but good seed production only occurs every 3 to 5 years. Seeds must be saturated in water for 1 to 3 months after falling in order to germinate. Tree stumps may also sprout after being disturbed. Bald cypress trees may live to be hundreds of years old. The bald cypress gets its name from its “bald” appearance in winter. It is related to the redwoods and sequoias that grow in California. Even though they are conifers, bald cypress trees are not evergreen. 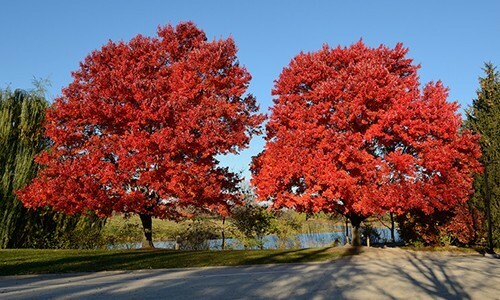 They lose their leaves every autumn and grow new ones in spring. 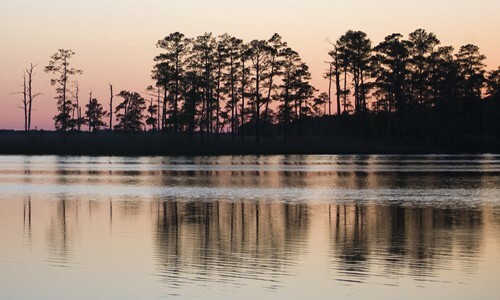 Trap Pond State Park in Delaware has the northernmost stand of bald cypress in the United States. Snakes, turtles, birds and other animals rely on bald cypress swamps for habitat. Bees, wood ducks and barrel owls nest in hollow bald cypress trunks.